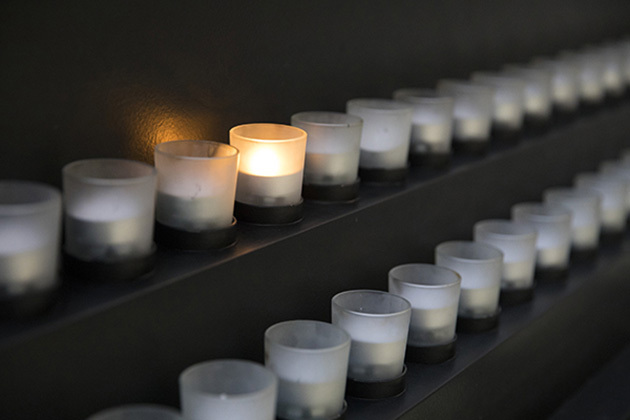 You’re listening to 12 Years That Shook the World, a podcast from the United States Holocaust Memorial Museum, examining the impact of the Holocaust, both then and now. Before 1944, the word “genocide” didn’t exist. The term was created to describe violent crimes, committed specifically with the intent to destroy a national, ethnic, racial or religious group. Then the 1948 Genocide Convention defined and criminalized these mass atrocities. But over the past 70 years, the convention has only sometimes helped stop violence or bring justice. In this episode, we’ll talk with Cameron Hudson, the Museum's Senior Strategy Advisor, and former Director of the Simon-Skjodt Center for the Prevention of Genocide at the US Holocaust Memorial Museum. Cameron will help us deconstruct the question of: does this convention meet the demands of the 21st century? So Cameron, what is the 1948 Genocide Convention, and what does it have the power to do? The Genocide Convention is one of a number of important international documents that emerged from the Holocaust and from World War II, which I think framed what we have today as the kind of modern system of international law and international justice. It is a direct result of the Holocaust because this crime, which had never been named before, was suddenly given a name, it was given a definition, it was given legal standing as a crime in international law. That occurred in 1948, and we are still using that convention today. But there have been a number of instances over the course of the last 70 years since the Holocaust, that it has been tested and is a reflection of the politics of the time in which it was written. And so I think one of the big questions that we have today is, if we had a chance to do it over again, would the document look the same way as it did in 1948? From the US perspective, can you walk us through how the document has been used and interpreted? The US has gone back and forth in how it wants to interpret that law. One of the reasons why that is, is in the name of the convention itself. We call it the “Genocide Convention” as shorthand, but it is, in fact, the “1948 Convention on the Prevention and the Punishment of the Crime of Genocide.” So, there is an ongoing question about, what are our obligations—the United States, anyone else is a signatory to this convention—to prevent this crime? And once that crime has been established as being ongoing, or is being committed, what is our obligation to punish that crime? The convention is quite vague in detailing and outlining what our obligations are as a signatory and a ratifier of the convention. A series of US administrations have taken pretty radically different views of how they interpreted our obligations under the convention. In 1994, at the time of the Rwandan genocide, there was an interpretation within the State Department whereby there was an expectation, and a reading of the convention, that we had an obligation, while unspecified in terms of how we carried out or enacted that obligation, that there was an obligation if we called something genocide, then we were obligated to respond in some way to prevent it. As this genocide was unfolding, there was a real allergy, I would say, in the State Department, to using the word genocide. And as film crews were capturing what was going on in Rwanda, it was clear what was going on. And it was this sort of linguistic gymnastics that we were engaged in around the convention, and so, because the Clinton administration thought that they had an obligation under this convention, they chose, and they went to great lengths, not to call it a genocide, even though that's clearly what it was. Ten years later, the Bush administration was faced with not a dissimilar situation in Darfur, and there was great public outcry even before the administration had kind of weighed in on it that this was a genocide. And there was a reading again of the State Department legal advisors office—the same people who read the convention ten years before—read it again, and this time they came to a different conclusion, which is, while the law is in fact so vague, that it doesn't specify any kind of conditions that we need to meet to prevent genocide, and therefore we should be free to call it a genocide because we are under no obligation to respond. And so we have Colin Powell telling the Senate that a genocide was unfolding in Darfur, in the Darfur region, and there was very little change in US policy to try to account for that, and to acknowledge there was something qualitatively different about calling it genocide. What other ways is the convention is being challenged today? The other aspect of the Genocide Convention that is still open to discussion today is the idea of having these targeted groups, and which groups are protected under the terms of the Genocide Convention. So, as it's written, it is national groups, ethnic groups, racial groups, and religious groups. But it's not, for example, political groups. It's not, for example, LGBT groups. So some of the groups that we've seen targeted or persecuted today, on a pretty widespread and systematic way in certain countries, if they were to be really targeted for destruction, they would not necessarily fall under the strict definition of the Genocide Convention. This was most notable in the case of Cambodia, where roughly a third of the entire population was killed under the regime of the Khmer Rouge. The groups that were targeted were largely social-political classes in Cambodia, so even though two-and-a-half million people were killed— which is an enormous number—it didn't meet the strict requirement or criteria for genocide. So the convention has fallen short in being able to protect some of the victims of mass violence, but what about how it applies to perpetrators? I think one of the big debates that we have today is with respect to terrorist groups. Terrorists, as we conceive of them today, didn't really exist in the same way in 1947-48. And so, in many respects we have another challenge to this convention, which the drafters of it could never have foreseen, which is the rise of ISIS, which now has been able to control territory in Syria and Iraq that the governments of those countries was not able to control, and carrying out essentially genocide against religious minorities inside of areas that it controlled. So, the question becomes: what if today the UN Security Council could crack this open, and redraft the convention to include more targeted groups and perpetrators? But Cameron explained, some members of the UN Security Council, like China and Russia, are unlikely to go along. He points to the fact that both countries have vetoed recent attempts to sanction Syria even for using chemical weapons. This document, as imperfect as it is, is what we have for the victims of these crimes, and so it's important today, that we develop a better understanding of what this document is and what it can be. There are certain vagaries in this document that will always exist, but there are things that we can do in the United States on a national level to make this more actionable. So, we could formalize the process by which we declare a genocide. You could give a role to public voices. You could require a letter from the president to Congress, there could be a formal process that Congress is a part of. We can require the use of the word, or set in place a set of obligations for when genocide is found to happen, that it unlocks, let's say, certain pots of new money to assist in saving or responding to victims needs. It could require some kind of security assessment by the US military to determine what, if anything, from a security standpoint the United States can and should be doing. We can put in place all these kinds of mechanisms so that the use of the word genocide isn't just a political signal, but it has real teeth. Aside from the convention, what else has changed since the Holocaust that has helped to protect victims of these crimes? One of the reasons why the death rate was so high in the Holocaust is because Jews weren't able to get out of Europe. They didn’t have travel documents, they couldn’t make the journey out of Europe. We have a new crisis in Europe and in the Middle East today, which is the fact that because of the war in Syria, there are more than 11 million people that have been driven from their homes. Of the 11 million displaced, half have left the country. They’re in bordering nations. Now, that's a huge problem for Turkey, it's a huge problem for Lebanon, it's a huge problem for Jordan, but those people are alive today because they were given refugee status. They were able to leave the country, they were able to flee. Those kinds of protections afforded to refugees—and this idea of non-refoulement, the idea that once a refugee flees violence and comes to your country you cannot then return them while that violence is going on—have saved innumerable lives since the Holocaust. That's a very important escape valve that the international community uses, I think, very wisely and importantly. So, what we can do is continue to bolster agencies that allow for people to flee violence. What is the most important thing you want people to really understand about the Genocide Convention? The most important thing about this document today, and the most saddening and terrifying thing about this document today, is the number of times that we do have to pull it off the shelf and look at it. In the justice community, there is a pretty widely-held belief that the best deterrent for these crimes being committed in the future is holding people accountable for past crimes. You make this document stronger by using it. You know, it doesn't weaken the document if you use it, and I think there's a concern that that could be the case, that if you try to apply this too loosely, then you won't be able to apply it effectively, and it will ultimately weaken the law. But I would argue that we need to use this law because it needs to be seen as true punishment. And there needs to be teeth, and people that commit these crimes need to think twice before they commit the crimes. They don't do that if they don't think they'll ever be held to account. It does run up against, I think right now, some very strong opposing forces, but there are certainly things that we as a government and as a society could do to, I think, really live up to the fundamental notion that underlines this document, which is that this is the crime of crimes, and that it is incumbent upon us to do everything that we can to prevent it and stop it, wherever is happening. That’s Cameron Hudson, the Museum's Senior Strategy Advisor, and former Director of the Simon-Skjodt Center for the Prevention of Genocide at the US Holocaust Memorial Museum. We hope you’ve enjoyed the episode, and we’d like to hear from you. What did you think of the show? And what questions do you have about the Holocaust? Send your comments via email to podcast@ushmm.org. Or, talk to us on Twitter. We are @holocaustmuseum. 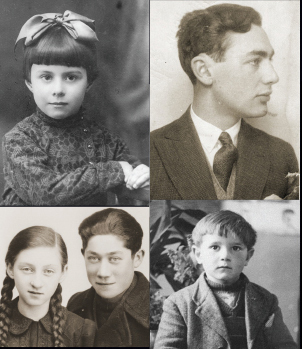 For more information about the Holocaust and genocide prevention, visit our website at www.ushmm.org. The music used in this episode is by Kai Engel, Podington Bear, Silent Partner, and Unicorn Heads. Thanks for listening. And if you enjoyed the show, please subscribe, wherever you get your podcasts. Music credits: “Scenery” by Kai Engel; “Dark Matter,” “Dry Air,” “Netherland,” and “Vibe Drive” by Podington Bear; “Lurking” by Silent Partner, and “Houston Vibes Score” by Unicorn Heads.